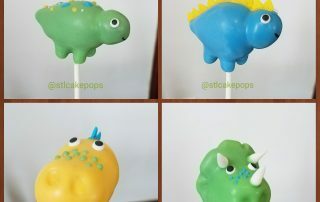 Cake Pop Birthday Parties for Kids at our bakery is a lot of fun and a unique experience. If your child has an interest in baking & pastry arts this is the perfect party for them and their friends. Each party is designed and catered to the child’s age group so they have fun with skills they can easily learn and replicate during the party. No clean up on your part! 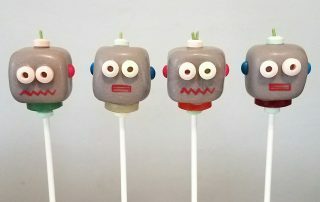 Love, love, love STL Cake Pops! She did an amazing job on my daughter’s space themed cookie birthday cake and delicious star cake pops for favors!!! We will keep coming back!! 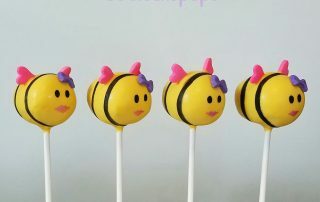 We ordered cake pops for my daughter’s first birthday and we were thrilled when we got them. The design was exactly what we wanted and the flavors were delicious! I will definitely be ordering from here again! Rachel provided my dessert for my rehearsal dinner in August. 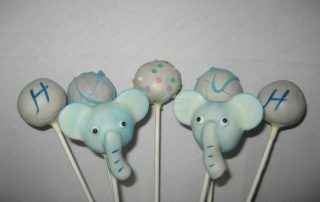 The cake pops, chocolate covered Oreos, and caramel and chocolate covered pretzels were a huge hit with our guests. She decorated everything beautifully to go along with my wedding color themes and there was also a bride and groom cake pop. She arrived early and set the display up and came back at the end of the event to box up what was left. We had to visit her several times to make our decisions on the flavors because they were all so good. Now I need to come up with new reasons to get cake pops. I ordered cake pops for my daughters mermaid themed birthday! We were having a small party and the cake pops were a surprise for her. 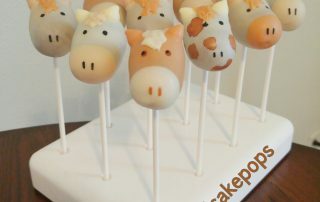 The cake pops looked better than I ever imagined and they were delicious! Rachel took my order in on short notice and was wonderful to work with! Thank you for making my daughter’s birthday that much more special!